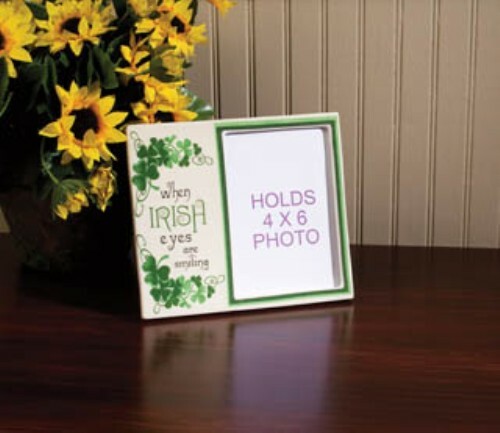 A St Patrick's Day frame to display a 4" x 6" photo of your favorite lad or lass or a sweet St Patrick's Day memory. It is made of ceramic and is approx 7" x 8". It has an easel back for setting on a table, desk or shelf! 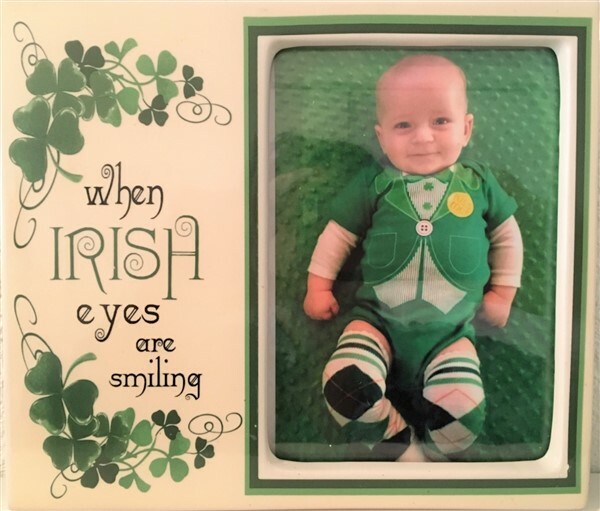 "When Irish eyes are smiling"...! Sorry, the picture of our sweet William is not included.